In an NBA season defined by incredibly tight playoff seeding races and an apocalyptic tanking campaign featuring a solid third of the league, only three teams were caught in the middle. The Pistons made a futile push for the eight seed, but they quickly joined the Hornets and Lakers as the only teams neither seriously contending for a playoff spot or heading south to the tank war. But unlike their Eastern Conference counterparts, the Lakers are probably pretty happy to finish where they did, since their larder is stocked with a bushel of fun young players, the best of which might be 27th pick Kyle Kuzma. What’s been most surprising about the Utah product is how little adjustment period he’s needed to make it in the NBA. Kuzma famously showed out at Summer League and kept on rolling into the regular season, making it clear that, for this season at least, he was the Lakers’ best rookie. 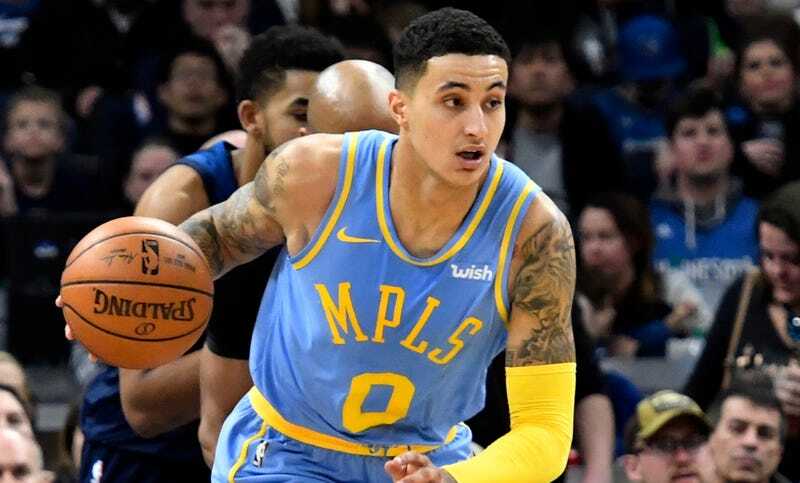 Luke Walton tossed him into the starting lineup on a permanent basis in early March, and Kuzma has continued to produce at a high level despite an arduous workload. He’s averaged 39.4 minutes per game in his 15 starts since March 3, easily the most among rookies in that period, and he’s scoring 19.8 points per game in that stretch on 39 percent three-point shooting. He was a problem for the Spurs all night, and for the first time in over 20 years, L.A. swept the season series against San Antonio. This Lakers core will have face real expectations for the first time next season, and though they might have a different core thanks to drama in OKC and, uh, Cleveland, Kuzma looks ready to keep doing his thing.